Whatever negative thoughts and beliefs you hold they can be changed through the power of positive thinking. Positive thinking is not the defining characteristic of most people. Everyone has a concept or image of who they think they are, and for the most part, they define themselves based on limitations concluded from past experiences. Yet, these conclusions are actually nothing more than subjective opinions. Here’s the shocker! Your entire personality, attitudes, beliefs, behaviors, and capabilities are all based on the subjective opinions, and you have probably changed them numerous times throughout your life. That, in itself, proves that they are not absolute truths. So by learning to incorporate positive thinking you can make dramatic changes in every area of your life. and those beliefs will lead you to exactly what you expect. You get from life exactly what you expect from life, no more and no less, and your expectations are based on arbitrary beliefs. Haven’t you seen some people who have limited themselves because of having negative thoughts and beliefs? They may have an inferiority complex, or they may be afraid of people. They might even be smart and very good-looking. In many ways they may seem to have a lot of talent, and yet they never seem to really make any significant lasting breakthroughs because they limit themselves by their negative thinking and self-concept. A positive self-concept or a negative self-concept has everything to do with your beliefs and perceptions, because your self-concept colors your perceptions and therefore your beliefs. You tend to view other people, and view this entire planet and everything on it through the lens of your positive or negative perceptions and self-image. Your self image may not be accurate or factual, but it can certainly hold you back if it is negative, or propel you forward if it is positive. Successful people see themselves as a positive success, and unsuccessful people see themselves as negative and unsuccessful. Nearly everyone bases their present self-concept on their past performances, and they usually remember and focus on their failures rather than on their successes. This is based on an irrational belief that the past determines the future. That is absolutely not true. It is your belief about the past that determines your future. If you believe such negative things as you are somewhat dumb, a failure, ugly, accident prone, or a loser then you will create that in your future, and you’ll act as if it were true even though it may not be at all objective reality. The opposite is true. Believing you are clever, lucky, successful, charismatic, likable, smart, and attractive will work to create all of that reality in your life. I remember a little girl I knew who in the third grade had a very bad experience in mathematics because her math teacher was very firm with her about some disciplinary problems. The little girl formed a negative attitude toward math and believed that she could not do math. She had a terrible time with it in third grade and in fourth grade, but in fifth grade she had a particularly understanding teacher. This teacher encouraged her and helped her form a strong positive image of herself. And the little girl began to do very well in math and by the end of the year math became her best subject. Do you see what happened? She started out forming a negative self-concept believing that she could not do math and she hated math, but that self-concept and the belief was changed to a positive one and she did very well with math later. These statements reflect how the mind works to form irrational beliefs that lead to limitations that make your life less than it could be. It may be true that you don’t play the piano, but that doesn’t mean you couldn’t learn, and it certainly doesn’t mean you can’t be popular, but that is how the mind runs away with it’s irrational thinking. Once you can clear your mind of the belief that you can’t be successful and you realize that you create your own self-image, then you are on the road to a whole new life. You make your life what you want it to be because tomorrow is going to be what you believe it will be today. So, if you’re going to re-create your future and make it a positive one, you’re going to have to re-create your thinking and engage the power of positive thinking. When a guided missile is launched it locks on a target and proceeds to follow its target until it catches it, and in some ways we are similar. Within our mind are two major components; a conscious mind and a subconscious mind. The conscious mind is the logical, analytical, and reasoning portion of the mind. The subconscious portion functions differently. It houses memories, emotions, beliefs, and attitudes. In addition, the subconscious portion of our mind works somewhat like a robot; it does not reason. Neither does it make choices or judgments; it just responds according to its beliefs. It’s like a jockey on a horse; it directs you. Your subconscious mind has been programmed by former belief systems, attitudes, implications, perceptions, judgments, biases, and conclusions. All of which were put into your mind, by and large, when you were a small child. You see, everyone is doing successfully what they are programmed to do. There are some very successful drunks. That takes a lot of persistence. There are some very successful failures. That is, successful in terms of living up to their self image. We need to talk about changing the programming that we live our lives by. They are all in our mind. They cause us to either be a positive success or nosedive into negative experiences and failure. Whether you are aware of it or not your inner beliefs are already a product of your imagination, and most people have at least some images projecting fears, guilt, worries, resentment, doubts, and “what if” questions. An interesting fact is that the mind cannot tell the difference between a real event and an imagined one, so we usually react to situations in the way that we have imagined they are real. To show you the power of your mind to affect your performances let me tell you about a particular experiment that was done with a group of basketball players that were divided into three groups. One group practiced foul shots every night. Another group sat in a chair and imagined successfully shooting foul shots. The third group did absolutely nothing. They did not visualize they were shooting foul shots and they did not actually go out and shoot foul shots. At the end of the experiment they took all three groups and had them go out and actually shoot some foul shots. What do you think happened? The group that actually practiced shooting foul shots did statistically the same as the group that sat in the chair and visualized shooting foul shots, and of course, the third group which had done nothing did not improve nor do nearly as well as either other group. Now, How do You Activate the Power of Positive Thinking? 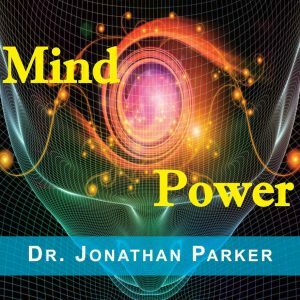 Essentially, all successful people have consciously or unconsciously used positive visualizations and practiced the power of positive thinking. Unsuccessful people have either allowed other people to program their mind to be unsuccessful or they themselves have created unsuccessful images in their mind. No matter what your project or goal you can practice utilizing your imagination in positive ways and apply the power of positive thinking. This can be effectively done by visualizing yourself being a success and repeating positive affirmations. Conrad Hilton imagined himself operating a hotel much before he owned one. Henry Kaiser said his business successes where imagined in his mind before they became reality. I built a house myself years ago and I had to sit down, draw the architectural plans, and plan it in detail in my mind before I built it. The house would have never gotten a foundation if I had not done that, and the same is true of virtually everything that is done by people on this planet. Everything must be formed in the mind before it becomes reality. The same is true of any success or failure. You imagine it before hand consciously or subconsciously. Your objective is to take control of your destiny. Refute and reject any negative points of view. You must become inner directed and no longer relegate to others how you view yourself. You create your own successful image. Visualize it every day. All you need is 10 or 15 minutes a day to relax and visualize the positive beliefs and outcomes you want. Through visualizations you restructure the subconscious and through conscious rational thought and the power of positive thinking you set new behaviors by acting as if you are a complete success. Don’t you see how that you can effectively change your entire life? One challenge is that there is an inner voice often telling us negative things about ourselves. The inner voice is sometimes called the inner critic. It states negative beliefs, and raises questions and doubts. How do you stop the negative self programming? One effective method is by repeating the positive opposite’s over and over enough times until the conscious and subconscious will accept the new beliefs. If you constantly picture yourself in this new positive image you will become it. You are what you believe you are. If you examine an aspect of your life that you determine you want to be different, you need to ask yourself several questions to convince your conscious mind that the new way of positive thinking would be better. If your inner voice is telling you that you can’t do it, you are inferior, you are a bad person, you do not deserve, then ask yourself, “where is the objective evidence this is true?” And you will find that there is no objective validity to your subjective opinions about yourself. Here are some other questions you can ask yourself. Why do I believe I can’t? Why do I believe I should not? Why do I believe I’m bad? Why do I believe I’m inferior? Why do I believe I don’t deserve? Why do I believe there is something wrong with me? Why do I believe I am not good enough? No matter what your answers you will find they are subjective, arbitrary opinions. Regardless of your answers ask yourself, “would I be better believing the opposite?” Follow that with the obvious answer that you would be better off believing the opposite, and resolve to change your beliefs by using the power of positive thinking. Picture the positive outcome. Dwell on it. 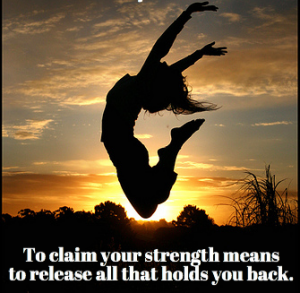 Activate your images with strong, positive emotional feelings. And in this way you energize positive outcomes. For more information on using visualization see my free article titled “How to Use Visualizations to Reach Your Dreams“. I quickly dismiss criticism and negativity. I have internal peace and happiness. I am positive and successful. Negative thoughts dissolve the melt away. I am energized with an inner drive to accomplish and enjoy life. Worry, anger, depression, failure, doubt, and self-imposed limitations are all unpleasant and there is not an objective reason why anyone needs to live with them. But 99% of the people on planet Earth accept it as unalterable fact. If it were an unalterable fact how could there be some who have achieved. How could there be people who are happy? How could there be people who are successful? Well, they must not have accepted the same beliefs about themselves that most others do. but because of accepting beliefs that are not founded on facts. Of course, life has challenges, but you know people who are happy and who do not make their happiness contingent on circumstances. You can form the habit of continually living in a positive state of mind. Utilizing the power of positive thinking is a purely developed habit, and with practice it will be yours. It all comes down to a matter of mental habits. Happiness is a mental habit. Happiness is a state of mind. 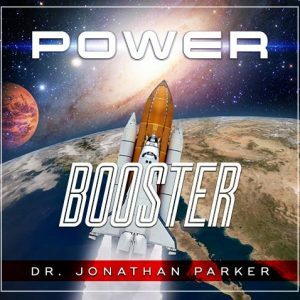 I have an audio program on this specific subject that can turn your life around. 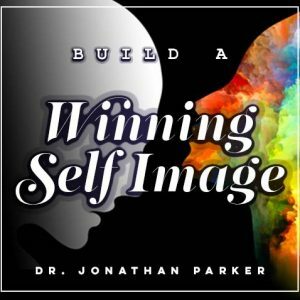 It is called, Build a Winning Self-Image & Powerful Self-Confidence.